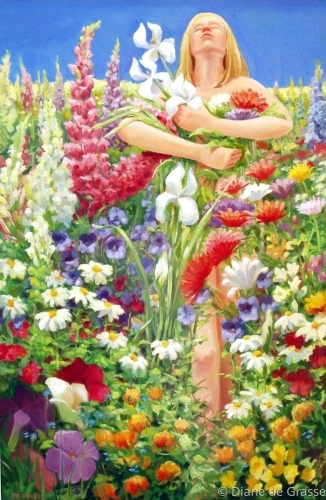 In a worshipful embrace the spirit of life affirms nature's gift of beauty. Oil on canvas. 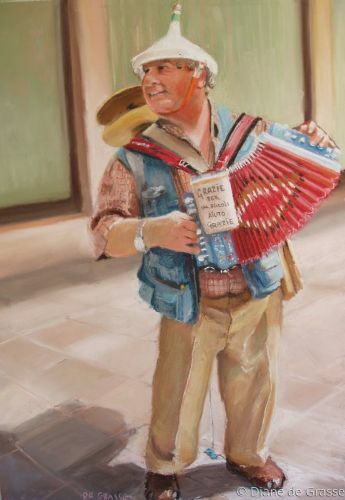 Such a delight to encounter this little man both in Florence and Venice, his tunes echoing in the grand squares. 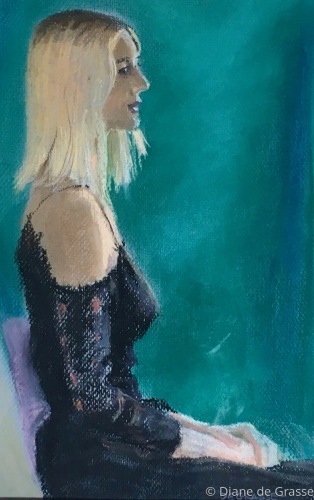 Soft pastel on sanded paper, 25" x 18"
A studio portrait in pastel completed at the Venice Art Center, Venice FL. Harry's warm complexion is complimented by his cool white hat and shirt. 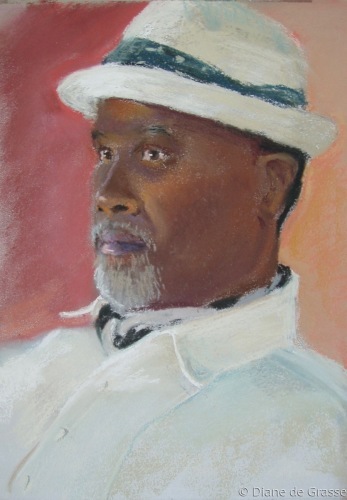 A local painter and sometime model, Roger sat for only two hours for this portrait in soft pastels on Canson paper. 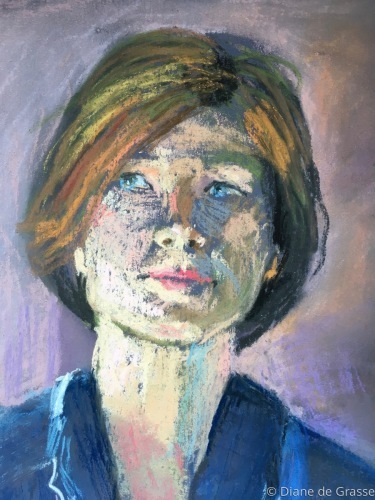 Portrait study in soft pastels. Elegance. 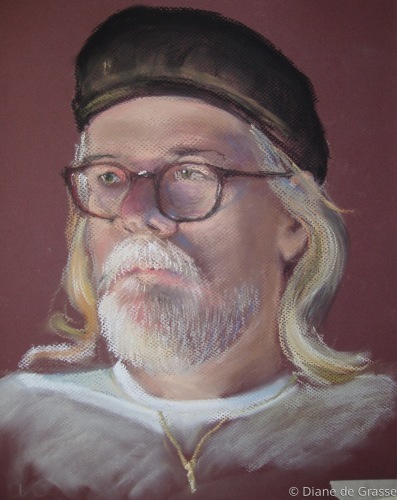 semi-soft Pastel on prepared paper.